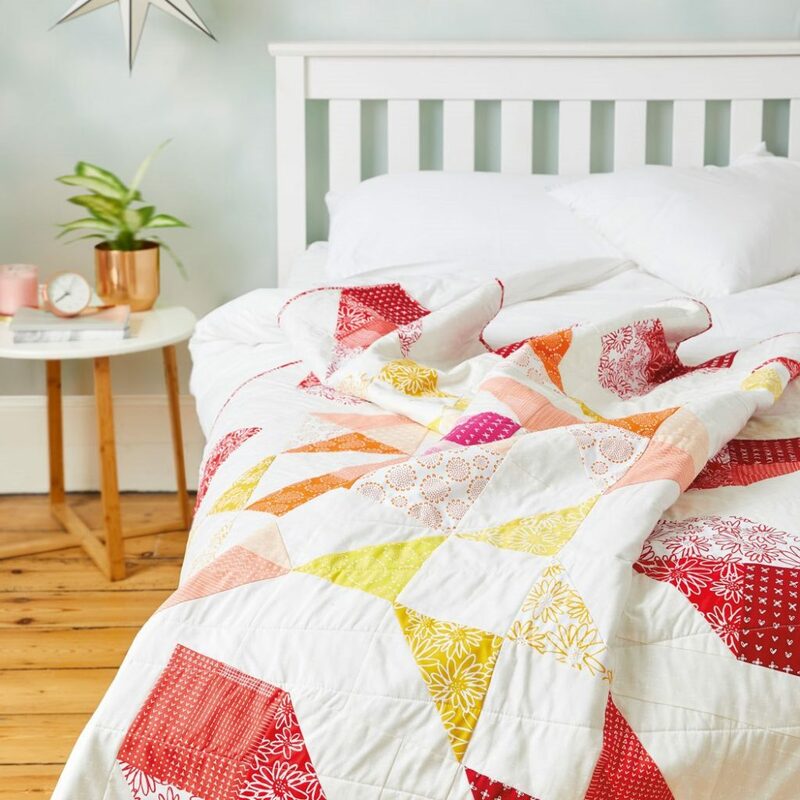 Here’s my Starburst Quilt for Love Patchwork and Quilting Mag Issue 60 – a happy burst of colour! Starburst uses big, bold half-square triangles around an improv-pieced central star. It is quilted in radiating lines from the top left corner to mimic rays of sunshine. I used Blueberry Park by Karen Lewis Textiles (Robert Kaufman) for this quilt – I love Karen’s graphic designs and bold colours and the quality of the fabric is superb. The quilt takes a little planning but comes together really quickly – it is a satisfying make! Apologies for the lack of whole quilt photo – I gifted it before remembering to take one!